Main Reasons Truck Accidents Occur | Johnson & Gilbert, P. A. A semi, tractor-trailer, bus, tanker, or other commercial vehicle has considerable size and weight. 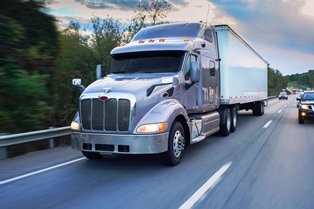 If you're involved in a large truck accident, you could suffer catastrophic injuries. According to the Federal Motor Carrier Safety Administration, 3,864 people died and 104,000 victims suffered injuries in truck crashes in 2016. If you or a loved one suffered because of the actions of a negligent trucker, you need the assistance of an experienced truck accident attorney to obtain just compensation. Legal counsel will help you hold the truck driver, his or her fleet company, and any other negligent parties responsible for your financial recovery. Fatigue. Anyone can get tired on the job, but large truck operators have to follow federal hours of service regulations in order to keep themselves and everyone else on the road safe. When a trucker is fighting to stay awake, he can drift over the center lane and cause a head-on collision, or miss a driver ahead slowing or stopping and not have the right reaction time to avoid a hazardous situation. Speeding. The average semi or other large truck can weigh up to 80,000 pounds without cargo. Traveling at 65 mph, an operator needs nearly the length of a football field, or approximately 360 ft., to safely stop it. A loaded truck may require twice that distance to stop. Speeding increases the risks that an operator will lose control and cause a head-on, jackknife, rollover, or multi-crash accident. Intoxication. If a truck driver abuses alcohol or drugs, this impairs his reaction time, judgment, vision, and other driving skills. Defective truck equipment. In some cases, a truck accident is caused by defective parts such as brakes, tires, electrical system failures, faulty hitches, and other components. If this was the cause of your collision, you could have a products liability claim against the truck and parts manufacturer, or a case against the transportation company or other facility in charge of proper maintenance. Distracted driving. Eating and drinking, texting, talking on a cellphone, and looking at a GPS are a few of the distracted driving practices that lead to preventable collisions. Improper loading. Shifting or loose cargo might cause the truck to tip or roll over, or fall into the path of unsuspecting motorists. The shipper as well as the truck driver and his or her fleet company could face liability if this happens. Unsafe lane changes. There are large blind spots along both sides, in front of, and behind a truck. When a trucker fails to check them, or signal before changing lanes, he can plow right into a nearby vehicle. Inexperience and lack of training. When trucking companies hire inexperienced truck drivers or fail to properly train them, they could be liable to the victims who suffer injuries due mistakes caused by lack of the driver’s experience or training. What caused your commercial vehicle accident? Let our experienced truck accident attorneys take over the burden of filing your claim so you can focus on healing. To start this process, fill out our online form to schedule a free initial consultation.